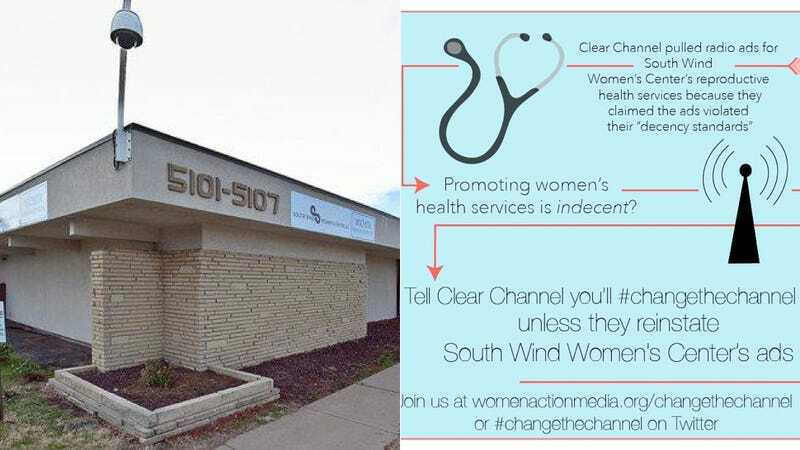 News broke Wednesday that a Wichita radio station owned by Clear Channel chose not to run ads for the South Wind Women's Center because of "decency standards." They've since elaborated to explain that yes, the ads was too controversial and they try to air "non-divisive" content at all times. As members of the Wichita community, KZSN has a responsibility to use our best judgment to ensure that advertising topics and content are as non-divisive as possible for our local audience. TL;DR: Women's health is a "divisive" issue.